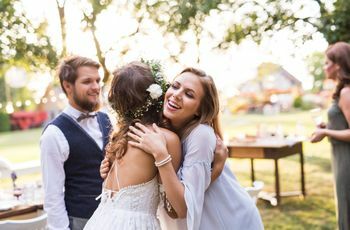 Weddings are all about celebrating love—and that includes the relationships you have with family members. If your family includes stepparents, that’s more love to go around. 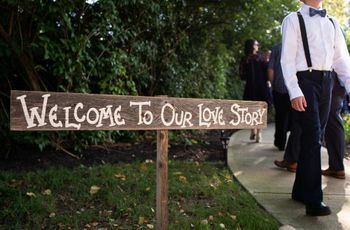 While you might think including everyone in your wedding will make things more complicated, it doesn’t have to be. A lot of this depends on your and your family’s relationships with one another, but what’s most important is that you respect the feelings of both your parents and stepparents—if they want to be involved, great, if not, they don’t have to be. 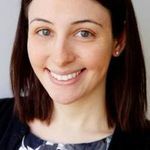 If everyone gets along (or at least can behave civilly), then you can certainly invite parents and stepparents together as you tour venues, go dress shopping, and more. However, it may make more sense for you to divide responsibilities—maybe you go dress shopping with your mom, but attend the menu tasting with your stepmom. You might also want to assign tasks to both parents and stepparents, like assembling favors or creating welcome bags. Your stepparents might have some concerns about what to wear, so help guide them in the right direction. 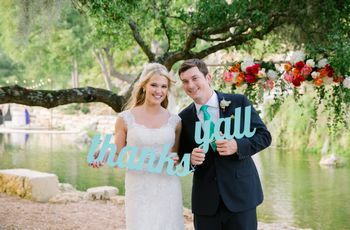 Give them a color palette to work with, hues that compliment your wedding color scheme but aren’t exactly the same as what your bridesmaids, groomsmen, or parents are wearing. They should also receive boutonnieres or corsages, if other family members are wearing them as well. 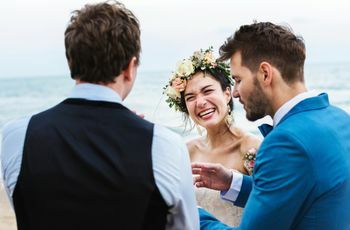 You’ve probably all seen the photos of the wedding ceremony where the bride’s father grabbed the stepfather’s hand to walk the bride down the aisle together. This was a spontaneous (and amazing!) moment, but we recommend planning things in advance if possible. There are several ways to include stepparents in your processional. Just your stepfather could walk you down the aisle. Your stepfather and father can walk on either side of you, or your stepfather can walk you halfway, followed by your father. Or, if your parents can be civil, you can have both your mother and father walk you down the aisle together, and your stepparents walk separately. Choose the style that works best for your family situation. Tell your photographer in advance about your family structure —he or she can best guide you to portrait arrangements that will work for everyone. The most important thing is to be as inclusive as possible. If your parents are divorced, they should be seated at separate tables with their spouse, along with their own friends or family members. If there is any tension in the relationship between your parents or their friends or family members, don’t put their tables too close together. If you and your stepparents are particularly close, include them in your honor dances. 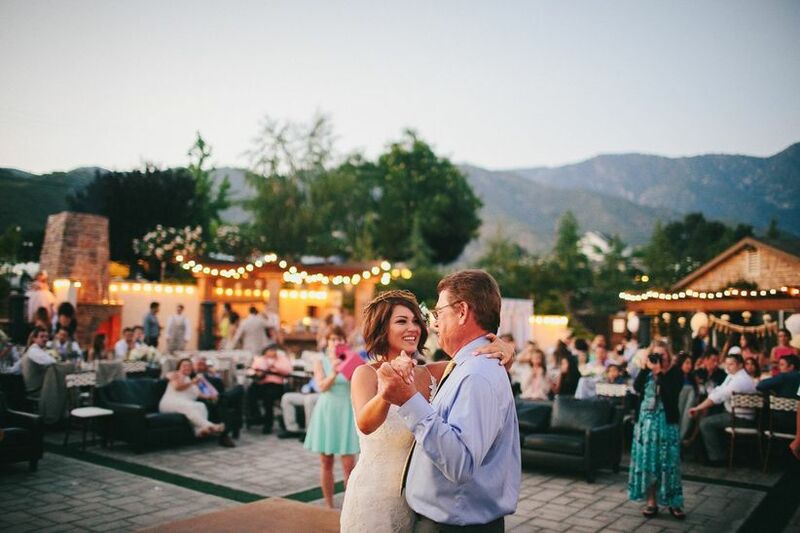 You can have a special honor dance just with your stepparent, or you might want to choose a longer song for your dance with your parent and take a spin on the dance floor with your stepparent halfway through. Include your stepparents in any wedding-day gift giving—particularly if your stepparents have been instrumental in planning your big day. Some cute ideas include handkerchiefs embroidered with a special note or a picture frame with a family photo. But what if my stepparent and I don’t get along? If you and your stepparents haven’t had the best relationship over the years, try your best to have a positive attitude and be as inclusive as you feel comfortable.